You have probably seen a lot of time lapse videos on Instagram and YouTube like fast moving clouds, sunset, traffic, stars rotating etc. A time-lapse video is recorded at a much lower frame rate than normal fps (frames per second). When a time-lapse video is played at normal speed, it produces a fast moving effect. It is the opposite of slow motion videos where the frame rate is very high. Some smartphones like iPhone have built-in feature in their camera which allows you to record time lapse videos. Unluckily, this feature is not available on most of the Android smartphones. 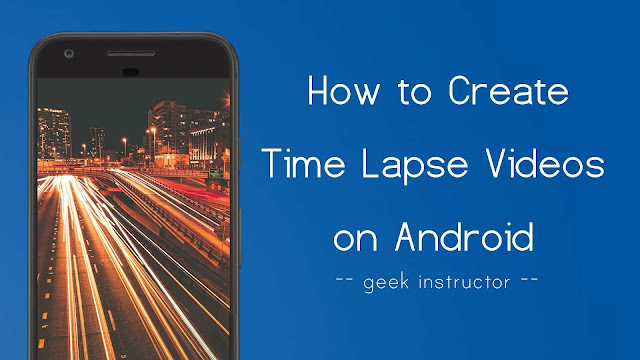 There are some many third-party apps available on Google Play Store that can help you to record time lapse videos on your Android phone. This is what we are going to discuss in this tutorial. Out of some many time-lapse recording apps, we would recommend you to use Framelapse as it's very easy-to-use and it comes up with various features. 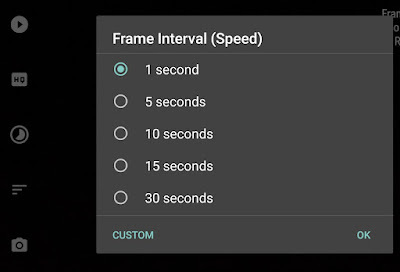 You can manually set frame interval, self timer, video quality and duration. There are few more advanced camera settings like white balance, auto focus mode, exposure compensation etc. With this app, you can get the best stunning time lapse video you're dreaming of. Download and install Framelapse app on your Android phone. Open it and select the frame rate, video quality and duration. 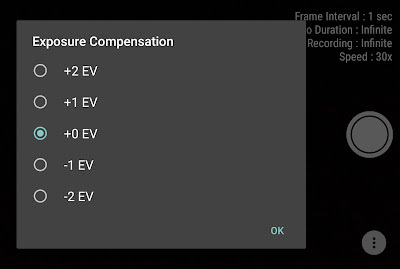 Adjust other camera settings like focus mode, exposure, and white balance according to the results you want. Now tap the recording button to start recording the time lapse video. Some of the features of Framelapse are locked in the free version. If you would like to unlock them, you can buy its pro version which costs ₹190. Hyperlapse - It is a very simple and free app created by Microsoft Corporation which allows you to shoot smooth and stable time lapse videos. You can choose speed from 1x to 32x times the normal speed. You can also import videos from on your phone and create their hyperlapse video. Lapse It - This app is more powerful and professional than Framelapse. It offers more advanced settings for recording and rendering. You can apply filters and add sound track to your time lapse video in the pro version of this app. Another good feature is, you can resume your captures in different locations and dates to get some really cool videos. Pro tip: While shooting a time lapse video, make sure to keep your phone stable as much as possible. The more stable it is, the more better results you will get. You can also use a tripod or mobile gimble for stabilization. We hope you find this guide helpful in recording time lapse videos on your Android phone. If you want to ask something about this tutorial, please do share it in the comment section.